Two paper mache skull masks or skeleton face, each approximately 8" high and 5" wide. Decorate in your favorite material, whether glitter, paint or decoupage. Add a custom touch to your wreath designs with your signature look. 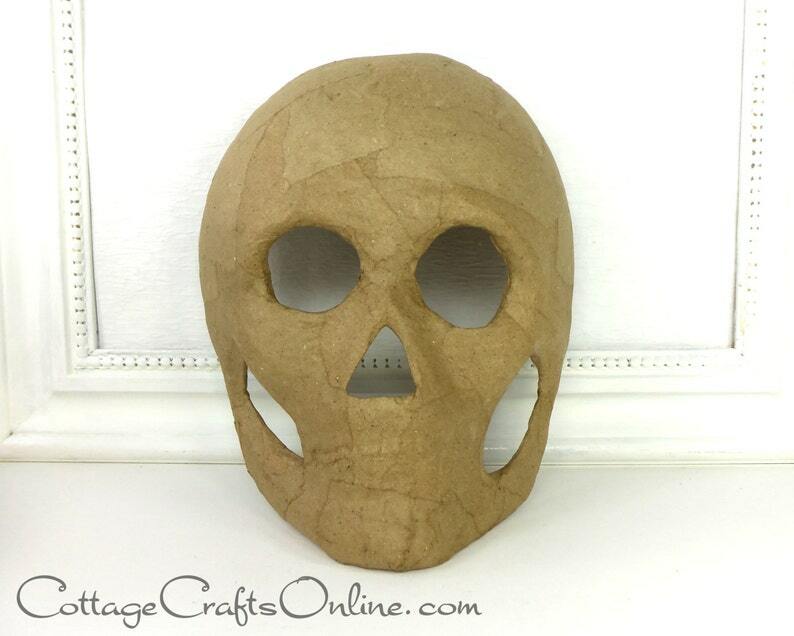 PLEASE NOTE: As a paper mache product, the masks vary in the shape and degree of impression. Dimensions are approximate and color of the mask may vary. We have provided pictures of different masks to give you an idea of the variations, but your order may differ from the pictures. This listing is for a pack of two masks.